One downfall to Tokyo nightlife is that, despite being served by the unbelievably punctual and extensive labyrinth of public transport, alas, the subway doesn’t run all night. When it comes to partying in Tokyo, you’re either all in or you’ve got to tap out early. Missed the last train? Let our guide to Tokyo’s best 24-hour restaurants come to the rescue! Park yourself at one of these life-saving 24-hour restaurants in Tokyo if you’ve reached your maximum party capacity, or need to refuel for round two. Feel like having some ramen at 3 a.m.? Head to one of Ramen Nagi’s Gotanda or Shinjuku stores which operate 24-hours, to satisfy a ramen craving any moment of the day. Walk up some tiny stairs to Nagi’s main store, which is nestled within Shinjuku’s famous Golden Gai: a few pokey laneways filled with themed bars that each have only a few seats. Shinjuku Golden Gai is a popular drinking spot for locals and visitors alike, and so Ramen Nagi is a go-to place for a bowl full of noodly goodness in the early hours of the morning, before the first train home. Nagi is known for its wide, flat noodles in a hearty, slow-boiled sardine broth, and its sister stores with black, red, or basil-based soups. At Kakekomi Gyoza, you can get delicious gyoza dumplings around the clock in Shinjuku’s entertainment district, Kabukicho. It’s decked out in traditional lanterns and wooden interiors as if you’ve stepped back in time to the Edo Period, serving every dumpling style you could possibly imagine. Think gyoza that’s deep-fried, pan-fried, in a soup, steamed, different colored dumpling wrappers, they’ve even got cheesy gyoza and veggie gyoza on the menu. The list just goes on, plus it’s pretty inexpensive too. The store warns customers to be careful when biting into their juicy dumplings, as the extra succulent juices inside are also extremely hot! Some people certainly can’t say no to a late night sushi sesh. Originating from Tokyo’s Tsukiji Market, Sushi Zanmai is now one of the biggest sushi chains in the city, ready to serve sushi at any time of day. Known for being tasty, inexpensive, and of high quality, Sushi Zanmai has 42 stores within the Tokyo and Kanagawa area. Most of their restaurants are open 24-hours such as the Shinjuku and Shibuya branches, as well as the many of the stores clustered in the Tsukiji Market area. Usually stores have counter or table style dining, however, some of the stores have conveyor belt sushi and rooms for groups, too. Okonomiyaki is a delicious and filling Japanese food appropriate for any time of day! This savory style pancake with shredded cabbage and thick soy sauce originates from the Kansai region. If you’re partying in the area, a thick slab of okonomiyaki can be had right in the heart of Shinjuku, before, during, or after a night out. If this is your jam, pop over to Osakaya, Shinjuku’s resident all day okonomiyaki specialist, which is open 24-hours. If you’re on the hunt for something more classically greasy, give this tasty savory pancake a try rather than your average fast food burger (but, for the record, the colloquial nickname for McDonald’s is makku in Japanese). For those with a late night hankering for some grilled meat, try Yakiniku Gen-Chan, a yakiniku specialty restaurant in Shinjuku. This restaurant isn’t quite exactly 24-hours, as they close for half an hour from 6:30 a.m. until 7 a.m. each day (close enough, right?) However, for the most part, you can just about get your grill on 23.5 hours a day, and at Yakiniku Gen-Chan you’ve got the option to choose from all kinds of cuts of meats to cook DIY style. But be careful not to burn yourself after a few shots of sake! If you’re still kicking on and the party’s still going, they’ve got plenty of all-you-can-eat and all-you-can-drink menus too. Get your midnight fix of Peking duck at Chinese Cafe 8, located in the heart of Tokyo’s raging nightlife district: Roppongi. Party with foreigners and Japanese alike, then top off your night with the best 24-hour Chinese food around. With over 300 items on the menu, you won’t be disappointed by the exciting and extensive range of meat, vegetable, noodles, rice, and dumpling dishes, available in just about every flavor and style. You’ll find other store locations in Azabu Juban, Akasaka, and Aoyama for that tasty Chinese food, or chuukaryouri in Japanese. Whether or not to eat fish on a night out can be divisive, but if you’re feeling grilled seafood, Isomaru Suisan is your go-to restaurant for do-it-yourself grilled fish. With around 150 branches in Tokyo alone, you can satisfy your seafood fix anytime, almost anywhere in the city. They also specialize in kaisendon (a rice bowl with seafood on top) at great prices. Isomaru Suisan is decorated with lanterns, wood frames, and colorful walls, and while it’s a chain restaurant it keeps a fun, casual character. They’ve got a reasonable all-you-can-eat menu available too, and drinks of course. Some useful 24-hour locations can be found around Shinjuku, Shibuya, and Ueno. Another great all-hours Japanese fast food alternative is the humble beef bowl, or gyudon. This classic meal of thin beef strips over rice is a popular meal for salarymen, as it’s easy to pick what you want from a vending machine and dine solo at a counter seat. The trusty beef bowl chains Sukiya, Matsuya, and Yoshinoya will sort you out for a hearty, meaty fill, with many stores open 24-hours. With locations of all three chain stores strewn throughout Tokyo, out-of-hours gyudon restaurants are easy to find. Not to mention that not only they’re tasty, inexpensive, and more filling, the high quality of fast food in Japan makes it a healthier late night munchies alternative. Plus, like many of them, Matsuya ingredients are proudly produced locally in Japan. Their Japanese style breakfast menus are usually filling and affordable too, for early risers. Sometimes shortened to fami-resu, you can find a lot of family restaurants in Tokyo, many of which are open 24 hours. 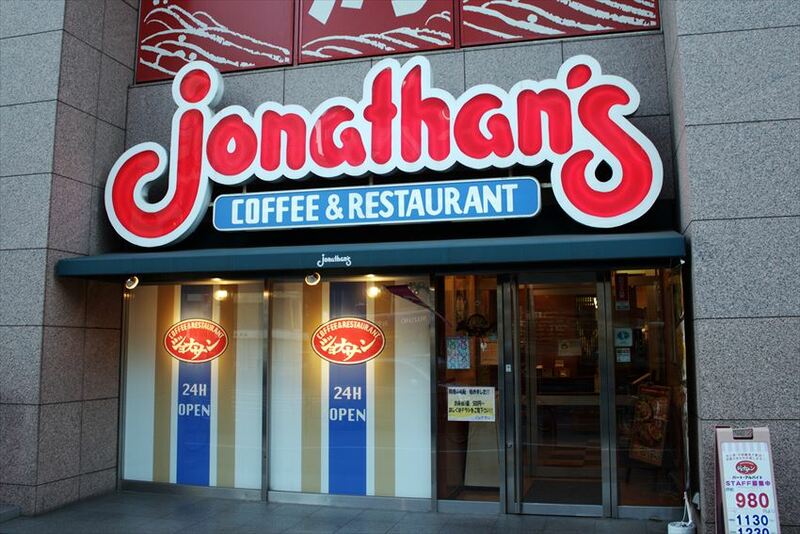 Denny’s, Jonathan’s, Gusto, Royal Host and Joyful are common chains, to name a few. In a casual atmosphere, you can get family-friendly meals from a combination of Western and Japanese style dishes. From pizzas and pasta to udon or donburi bowls, you’ll be able to find a satisfying midnight snack. If they’ve got one, the soda drink bar is usually reasonably priced, in case you need to water down your sake intake. Or, if you’re really stuck for a midnight snack, around the corner you’ll find a trusty convenience store to ensure you never go hungry in Tokyo. You should also be able to find many 24-hour trading Donki (Don Quijote) stores to grab a snack, all day, every day.